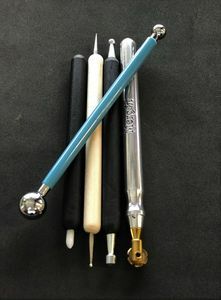 Copper Embossing Tools- 5 piece grab bag of miscellaneous tools. Grab Bag of Copper Embossing Tools! This item is a 5 piece grab bag of miscellaneous tools used for tooling or embossing copper. Each order will contain 5 actual pieces, some with a single tool, and others with a tool on each end. The tools included will vary from order to order and we cannot provide custom made tool packs. 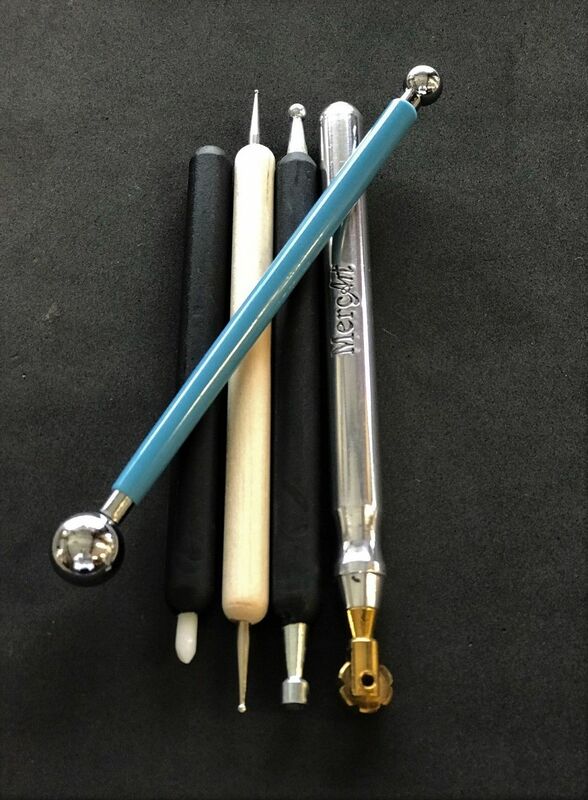 This is a perfect item for customers who are new to embossing or who are experimenting with different techniques, but who may not want to purchase an entire set of any one particular type of tool. The tools that the packages include will vary but often include one or more ball styluses in various sizes from quite small to quite large, cups in various sizes, a wheel of various patterns, or other various items. All will include at least one wheel tool and one small ball tip stylus for fine detail. The items are from different manufacturers. We cannot take special requests to include any particular items. These embossing tools work best with our 3, 5 and 8 mil copper sheeting. WHILE SUPPLIES LAST!! Enter "Free Buffing Block" into the comment box during check out and we will include a snow brick that can be used with the copper for scuffing up the surface and slight sanding. This item is available only with the purchase of the copper embossing tool set grab bag.